"The Psychologist" Psychological Counselling Center Chennai - Panruti - Pondicherry: Obsessive Compulsive Disorder Psychological Counseling in Velachery, Chennai, Tamilnadu. Obsessive Compulsive Disorder Psychological Counseling in Velachery, Chennai, Tamilnadu. 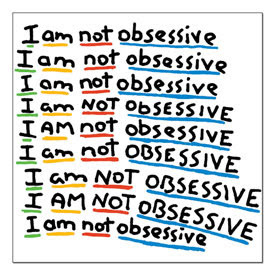 Obsessive Compulsive Disorder – OCD is characterized by compulsive behaviours that are hard to understand at times. In OCD, people attempt to avoid disturbing thoughts that are difficult to stop obsessions by doing compulsive behaviours that don't always appear to make a lot of sense. While at times these compulsive behaviours can lead to positive outcomes, such as very clean houses or perfectionist work behaviours, many of the compulsive behaviours or "rituals" are difficult to understand by even those who are doing them. 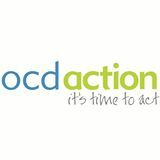 Friends and family often think a person with OCD should just "stop" doing the rituals. However, much evidence suggests that OCD does not just go away over time, despite the best intentions of people struggling with the disorder. Often people with the disorder report feeling they can't imagine stopping the behaviours and feeling hopeless that anyone will be able to help them. Unfortunately, people with OCD may be struggling unnecessarily. The good news is that behavioural and psychoactive (e.g., SSRIs) treatments can be extremely helpful. In fact, behavioural treatments, such as exposure therapy with response prevention (ET/RP), have been shown in research to work for about 75% of the people who complete it. Also, people who complete the treatment, report a strong reduction in the compulsions and obsessions they experience. ET/RP involves an intensive outpatient treatment model that requires a strong commitment by the participants but can be completed in about 4 weeks. Eye Movement Desensitization and Reprocessing (EMDR) may also be incorporated into the treatment of OCD. Trichotillomania is a disorder that most traditionally involves pulling the hair from one's body (e.g., eyebrows, arms, head), often during times of stress and anxiety. In addition to hair pulling, some people with Trichotillomania symptoms pick their skin compulsively. While hair pulling and skin picking may seem difficult to understand, ET/RP treatment strategies can also be helpful in managing this disorder.